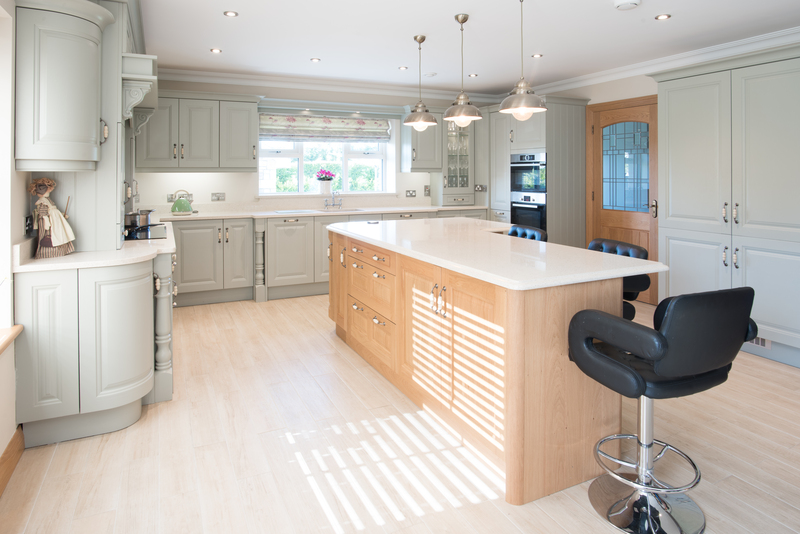 The clients wanted a classic kitchen design for their home in Co Meath. They enlisted the help of Ornan Kitchens. They used the Jefferson range in Oak and Sage Green to create this gorgeous kitchen space.